Mission reassigned to the backup crew after the deaths of Charles Bassett and Elliot See. Earned a Bachelor of Science in electrical engineering from Texas Technological College. 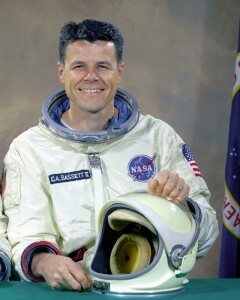 Bassett was a Captain in the U.S. Air Force. 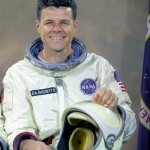 Bassett was assigned as a member of the Gemini 9A prime crew in 1966, but was killed along with Elliot See when the T-38 jet they were in crashed on February 28, 1966. The crash resulted in Gemini 9 and all following missions being reassigned, and ultimately determined who would be the first crew to go to the Moon.